Theresa May's chief Brexit adviser has insisted her under-fire Chequers plan is deliverable and "respects" both the UK's sovereignty and the EU's autonomy. 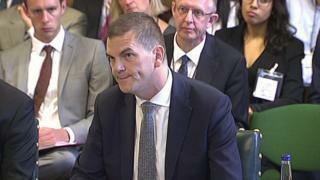 Appearing before MPs, Oliver Robbins was urged to put the prime minister's blueprint for future relations with the EU after Brexit "out of its misery". Veteran Eurosceptic Sir Bill Cash said it was "completely impossible" to marry the UK and EU's underlying demands. But Mr Robbins insisted the package remained "credible and sensible". The UK is set to leave the EU on 29 March 2019. Both sides are currently seeking to finalise the terms of withdrawal and agree a statement on future economic and security relations. They hope to get agreement before a summit of EU leaders next month but have acknowledged that this might not be possible until November. However, the EU's chief negotiator Michel Barnier has said he is "strongly opposed" to key parts of the PM's plan, agreed at her country residence in July, arguing it breaches the core principles behind the EU's single market. And many Tory MPs, including both Leavers and Remainers, have warned that it will leave the UK worse off than if it remained in the EU as it would see the UK sign up to a common rulebook for trade in goods and agriculture without having any say in making those rules. 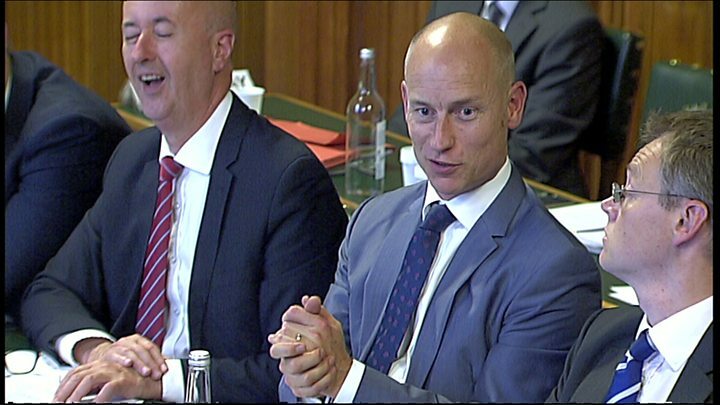 Sir Bill told Mr Robbins, who is giving evidence to the European Scrutiny Committee alongside Brexit Secretary Dominic Raab, that ministers had been "bounced" into supporting the plan but, due to domestic and European opposition, it was "now effectively dead". He urged Mr Robbins, who he described as the "architect of Chequers", to "advise the prime minister to put Chequers out of its misery as it satisfies virtually no-one". But Mr Robbins, who was the top official in the Brexit department before becoming Mrs May's EU adviser a year ago, said the Chequers agreement remained the government's "collective position" and the basis for current negotiations between the two sides. "Respectfully we disagree with Mr Barnier," he said. "The government's view is that the proposals are a credible, sensible, balance of trying to achieve something which respects the autonomy of the EU and the sovereignty of the UK and provides for a pragmatic relationship with the EU." Mr Raab dismissed calls by Brexiteers to instead pursue an enhanced Canada-style free trade deal, saying Mrs May's plan was the only one to keep the UK intact. Asked whether he would agree that a deal modelled on Canada's arrangements with the EU took Britain further forward and closer to a deal than Chequers, he said: "I don't understand why anyone of the Brexit flavouring... would cite that as a credible alternative." The hearing got off to a heated start after Sir Bill accused No 10 of seeking to prevent Mr Robbins from appearing before them. He said it was "unacceptable" that seven months had passed since they first asked Mr Robbins to appear, suggesting that No 10 had only backed down after the committee had issued a summons. Last week, Mr Raab suggested Mr Robbins would not be appearing before parliamentary committees in future since as Brexit Secretary he should be held accountable for the government's position.